Any way, every year The One Show is put on by Thor Drake of See See Motorcycles a major sponsor of mine. 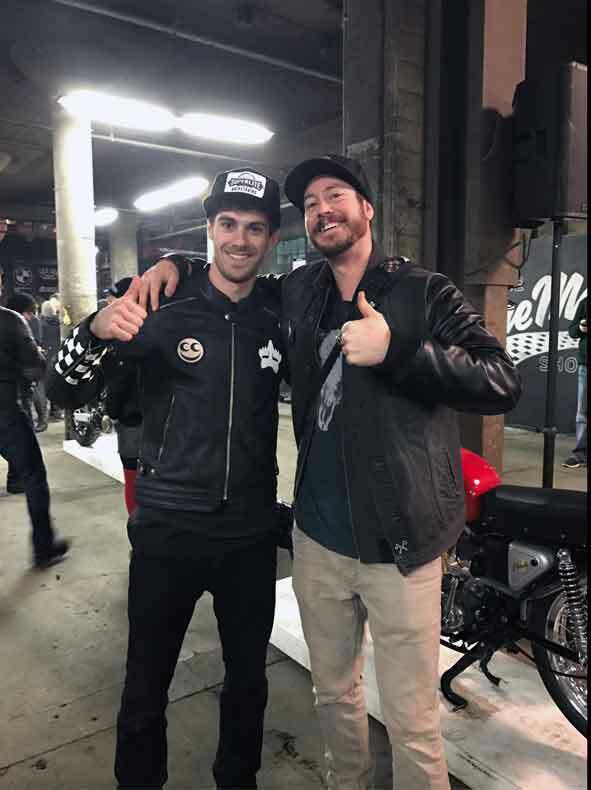 The show attracts hundreds of bike builders all over the world, as well as thousands of visitors primarily from Portland, but a considerable amount from out of the state and country too. Alta Motors an electric motorcycle manufacturer out of San Francisco, CA, hit me up a month or so back about doing some riding for them before the show. They are a sponsor of The One Show, and they wanted to do some filming and photography while in Oregon. 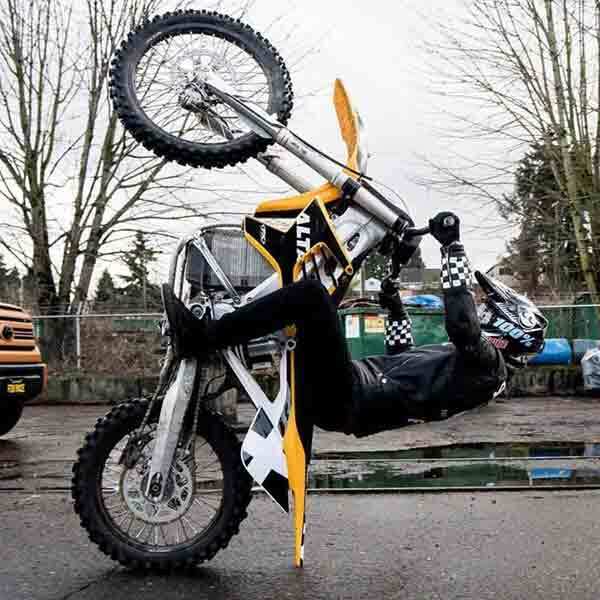 My friend Jimmy Hill, a freestyle motocrosser as called in to ride as well. Alta brought up 2 specially prepared motocross bikes for us, which they currently sell to the public. 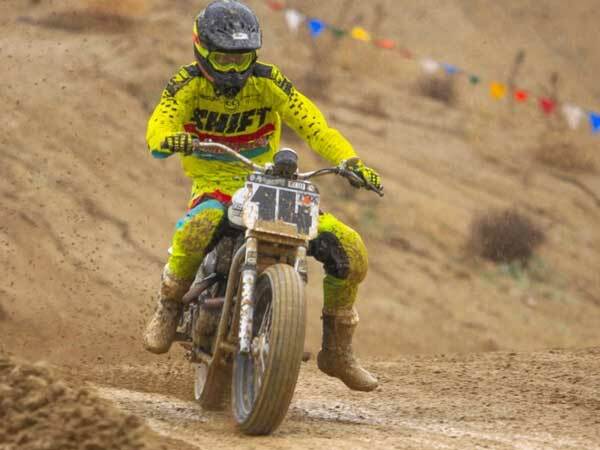 I've raced their flat track bike before, which is based of the motocross bike, but this would be my first time riding the motocross bike. I was stoked to say the least. Shout out to Alta's Jon Bekefy, Evan Hamilton, Jason Hansen, and Lawrence Lea for making this one of the most fun and rad weeks I've ever had! With the rain we had for the last week, finding a motocross track that was decent was a tall order. But my friends at Woodland MX Park in Washington came through, and conditions were actually really good! Jimmy and I had a blast riding the motocross track on electric motocross bikes for the first time. They did not disappoint! We had the track to ourselves. When riding these electric bikes without the sound of other motorcycles, you get to hear the tires working, the chain slapping, and the dirt flying. Its pretty special actually. Its Wednesday now and we unloaded the bikes at the big warehouse off Columbia Blvd, where The One Show location was. 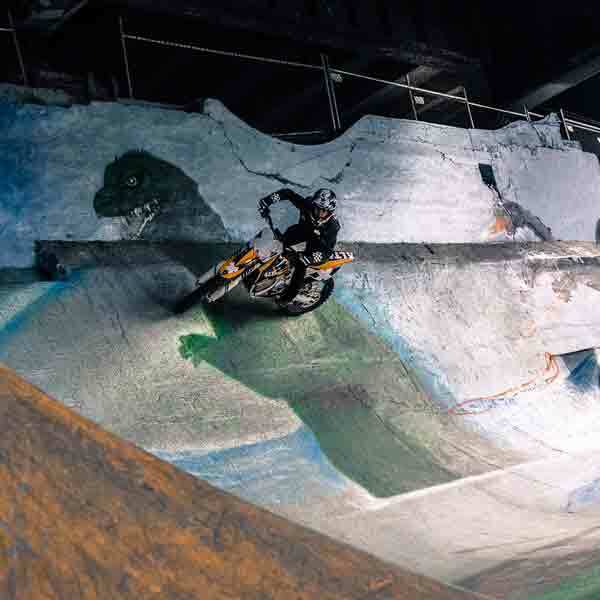 The event was just starting to be set up for the opening Friday night, and it was time to ride inside and film for both Alta, and The One Show video for 2017. We spent a few hours getting shots outside, and a few hours getting shots inside. It was endless fun! Another full day at the warehouse, this time shooting only inside. It was pretty challenging, but Jimmy and I rose to the occasion. I really progressed this day with my free-riding abilities! You'll see all the cool work we did in a couple weeks when The One Show 2017 recap video comes out. Before The One Show kickoff Friday night, Jimmy and I met Alta at the famous Burnside Skate Park underneath the Burnside Bridge. This was my first idea of a location to ride urbanely when Alta reached out to me. It took a little convincing since its completely illegal, and the local skaters have a reputation of being wildly against bikes, but it couldn't have worked out better actually. We ended up getting ride for about an hour, completely under the radar and supported by the only skater who was there at the time. It was a major bucket-list item I get to cross off! It was a little scary with the obvious consequences at stake, but that made it all the more sweet when we pulled it off. Later in the evening I went to The One Show to enjoy the atmosphere and socialize! I headed of to Salem Speedway to do a normal race night. It was time to tune up for Sundays big race that was in conjunction with The One Show. I ended up winning the Hooligan main event, and placing 4th after a great battle for 2nd in the Open Pro class behind Sammy Halbert, Jeffrey Carver and Davis Fisher. There were over 20 pro's that night! The biggest day of all. 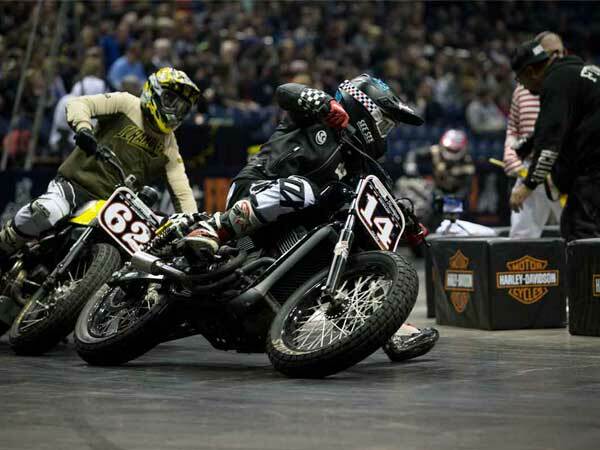 Round 1 of the newly announced Super Hooligan National Championship was also part of "The One Pro Race" and there was thousands of dollars at stake. I started the day off by almost winning my pro heat race. 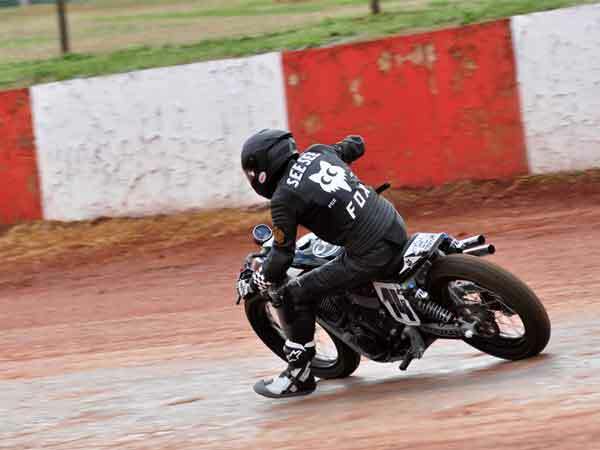 I won my Super Hooligan heat race, fending off Joe Kopp, an ex-AMA Pro Flat Track race winner in the Grand Nation Championship, which was a big deal. That put me into the Dash for Cash, where I got the holeshot, fending off current Grand National Racer Sammy Halbert in first. He made an aggressive pass, and we traded paint all the way to the checkers where he barely edged me out for the $1,000 win. Normally riders of his caliber don't race Hooligan, but it was a fun challenge and people said it was the best Hooligan race they have ever seen! The Pro main event didn't go as planned. The track dried out and I couldn't get comfortable in the race. I was on the cusp of a top 10 and I wasn't in a money paying position, so I wisely pulled off to save energy for the Super Hooligan main event that was up immediately after Pro. I was pretty exhausted for the Super Hooligan main event unfortunately, but I salvaged a 3rd place which was pretty darn good! I made some money, and put myself in a solid position in the championship. To say I was wiped out after the races Sunday is a major understatement. The activities didn't end though. Since then its been countless hours catching up on homework, and getting ahead on homework since I'm flying out to round 2 of the Super Hooligan National Championship Thursday 2/16 at the Flat Out Friday Race/ Mama Tried show in Milwaukee, Wisconsin! See See Motorcycles, Harley Davidson, and Vanilla Cycles all joined in to make it possible. I will be racing Vanilla Cycle's Harley XG750, which is similar to the XG750 I've been racing prepared by See See Motorcycles. Should be a fun time! The race is on polished concrete with coke-syrup spray on it for traction. Should be interesting!